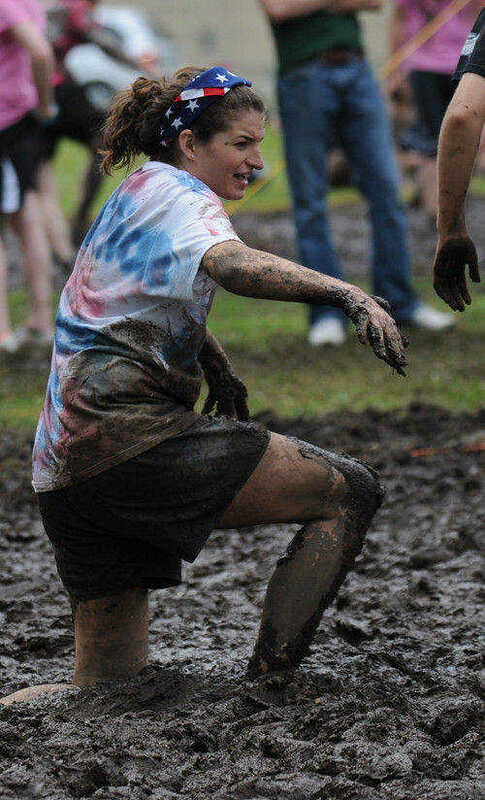 Kathryn Cavener looks a bit unhappy as she slops around in the mud during the mud volley ball tournament held Friday, April 22 at the Osage Prairie YMCA. 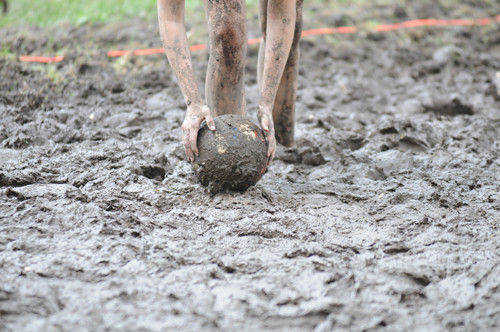 Taryn Baker throws a mud ball at one of her teammates during a lull in the action at the L.O.L. 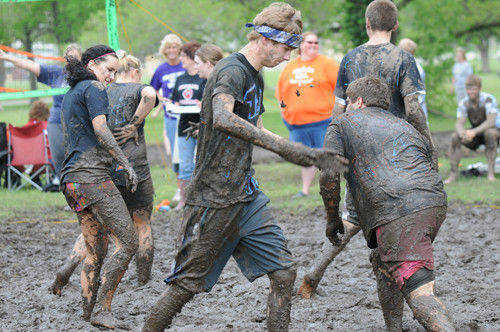 mud volleyball tournament held Friday, April 22, at the Osage Prairie YMCA. Katie Brauer laughs so hard during the mud volleyball tournament held Friday, April 22 at the YMCA that she is having a hard time getting to her feet. 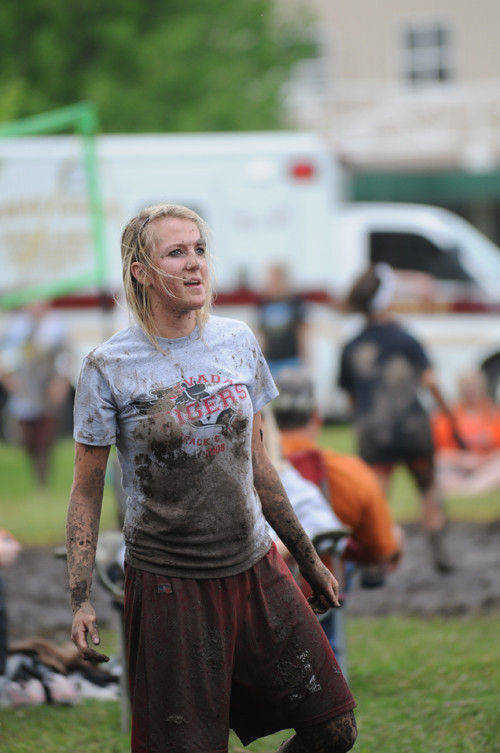 Magan Hendrix takes a break before getting back on the field during the mud volleyball tournament held Friday, April 22, at the YMCA. Kelci Cliffman serves up a mudball to the other team during the mud volleyball tournament held at the Osage Prairie YMCA on Friday, April 22. Cassidy Lowery tries to get to her feet after falling in the deep mud during the mud volleyball tournament held at the Osage Prairie on Friday, April 22. 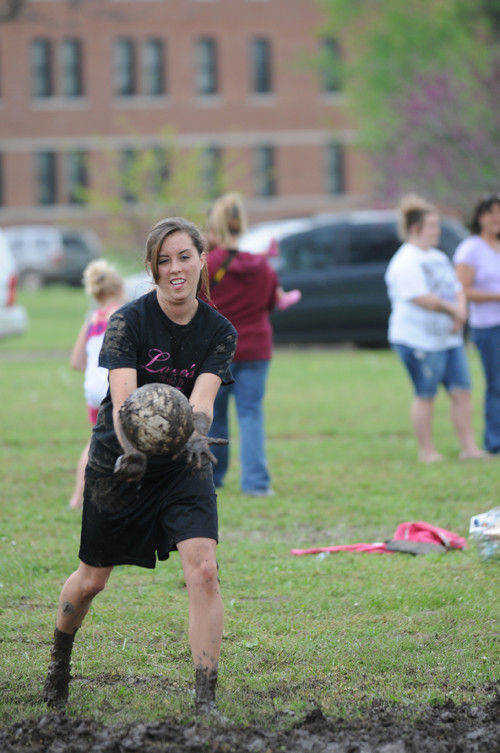 Cassidy Lowery tries to decide whether she wants to get up or just stay in the mud and play with the ball during the mud volleyball tournament on Friday, April 22, 2011. Allie Irwin watches the ball go back to the other side of the net during the mud volley ball tournament held Friday, April 22 at the Osage Prairie YMCA.